"How Can I Leave You Again?" 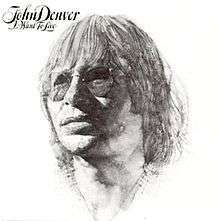 I Want to Live is the 12th album by American singer-songwriter John Denver released by RCA Records in November 1977. The title song was dedicated to the "Hunger Project", which Denver was on the board of directors.